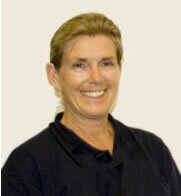 Our certified registered nurse, Nancy Weikel, is standing by to help you with your questions. Please note, and make sure it is ok, that if Nancy considers your question one of which a customer service person would be more appropriate for, she will pass it on to completely privately be answered by one of them. Also, please seek your regular medical doctor for things that are more medical advice. Whether you have a technical question or need someone to know medical knowledge for your question, our nurse can assist you in a discreet and timely manner. iDiaper.com’s ask a nurse program provides incontinence product information and support from a certified registered nurse. This question and answer forum is for your convenience as a consumer and is not intended as a substitute for your regular healthcare provider. We do not offer medical advice. If you have an emergency please call 911 or the number for your local emergency response.